"Having spent the better part of my life living and working in the soils and vines of Rutherford I never doubted that I would someday make an Estate Cabernet Sauvignon from this place. 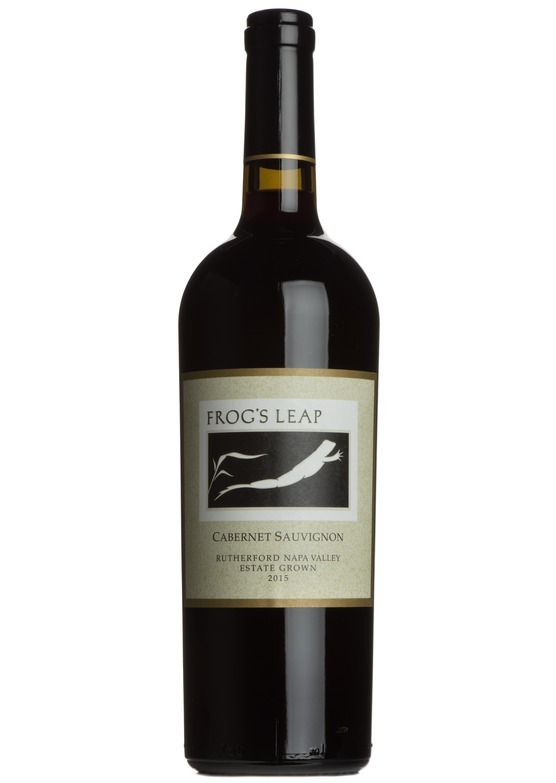 It's what I know" - John Williams, Owner and Winemaker, Frog's Leap. Cabernet Sauvignon is one of the best-travelled red varieties. You will find it in many of the hotter wine regions around the world, where most producers attempt to emulate, and they would say better, the wines of Bordeaux. Bordeaux, however, is where this variety calls home, especially the gravelly soils of the medoc and graves regions. Growing Cabernet Sauvignon does not guarantee the production of a fine wine, as the variety struggles to ripen in all but the sunniest of climates. When it does ripen fully the depth of colour, intensity of flavour and tannic structure can be quite incredible. This combination gives the best wines a remarkable ability to age over the long term. It is not uncommon for a fine Cabernet Sauvignon to mature and develop for 20 years plus. The clearest signal for how highly regarded this variety is amongst producers is the trend in recent years for producers in some of the higher profile regions of Italy and Spain to plant an ever increasing proportion of this grape. You need just take a look at Tuscany, a region famed for the production of indigenous Italian Sangiovese - in a line up of the greatest wines from this region today a high proportion would include Cabernet Sauvignon. Do not, however, assume that all Cabernet Sauvignon is intense and ageworthy. In a number of southern French regions and many New World countries quantity is as important as quality and the yields are such that some of the intensity is diminished, and a far easier drinking, more everyday wine is produced. Chile, Agentina, USA and Australia are amongst the countries that have had the greatest success producing Cabernet Sauvignon to suit all budgets, and when it is ripe it is often absolutely delicious.